A view of the jewelry projects in progress. 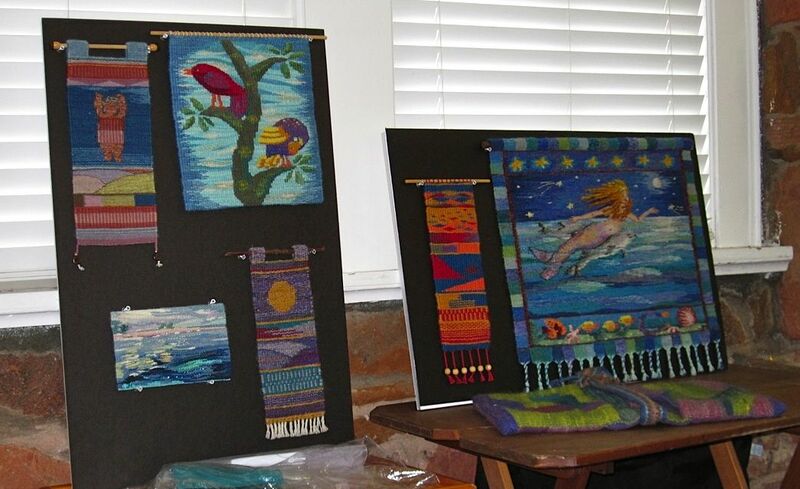 A few tapestries to brighten up the booth. 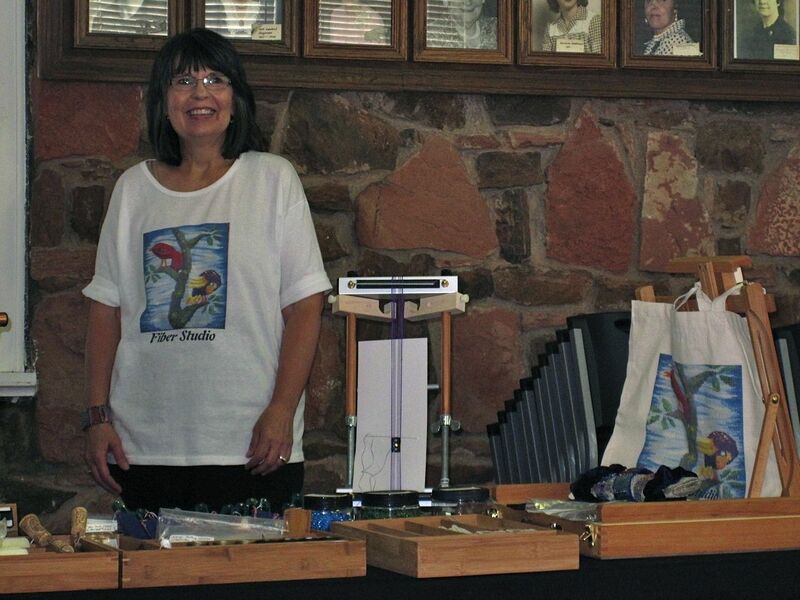 The jewelry projects attracted quite a bit of attention and I had a tapestry bead cuff, a no warp ends bead bracelet and an Affinity bracelet in progress on various looms. 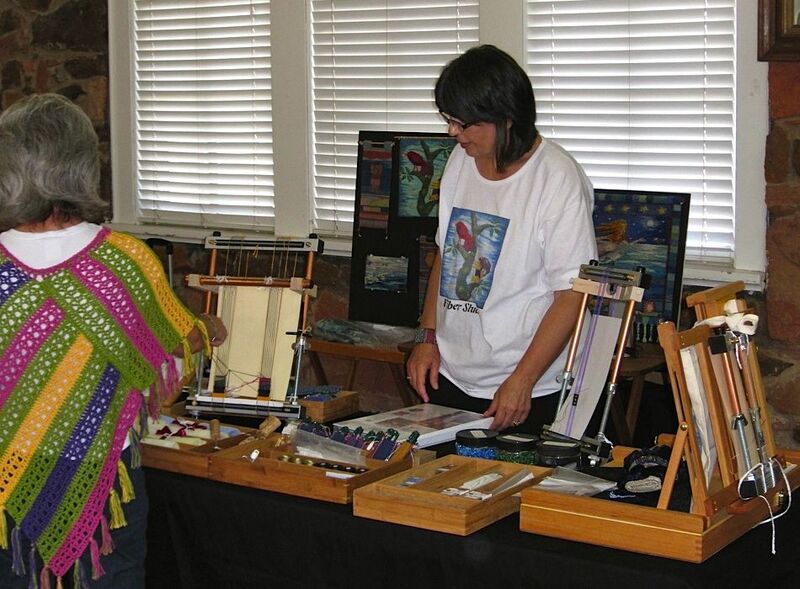 I brought an album with photos of Mirrix Looms, projects and available items. 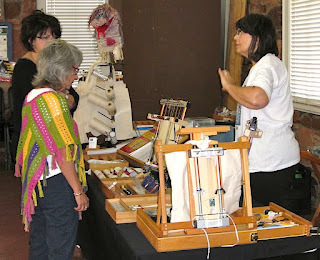 Here are some pictures that my friend and helper Lynn Tedder took Saturday at Rendezvous. These are from the beginning of the day, shortly after it got to busy for pictures! 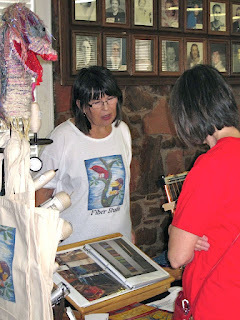 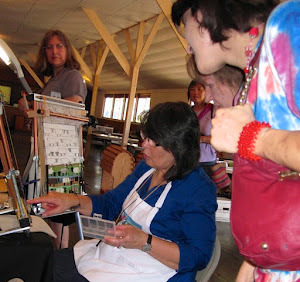 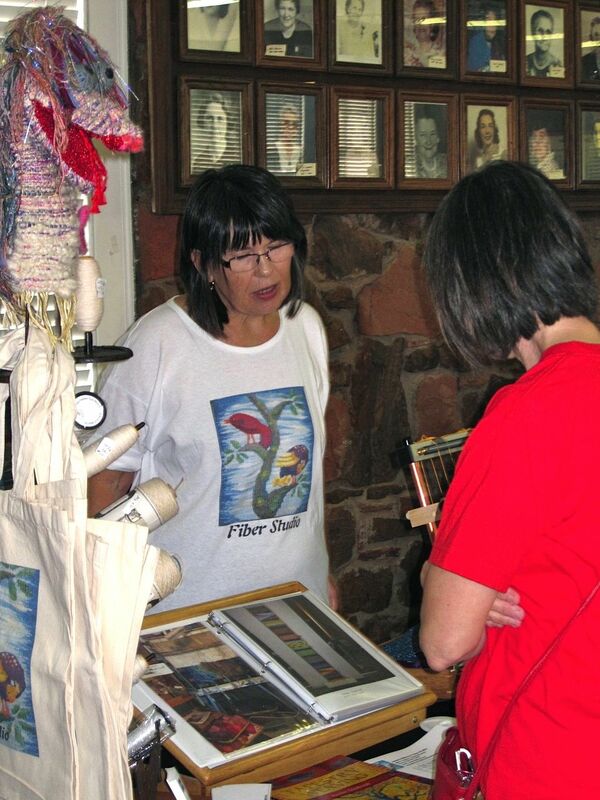 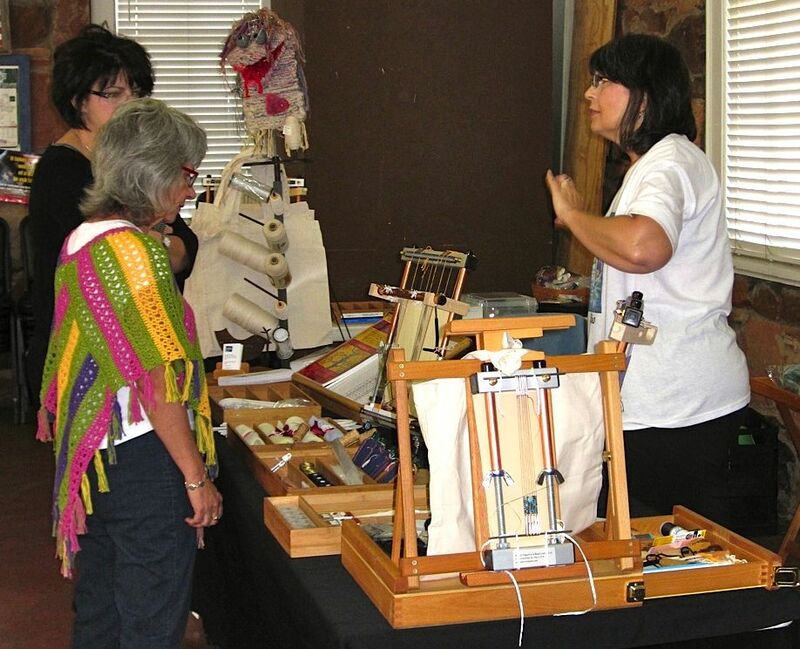 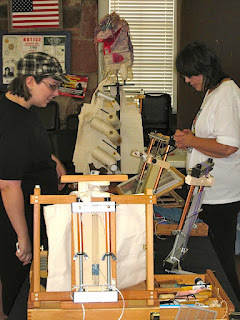 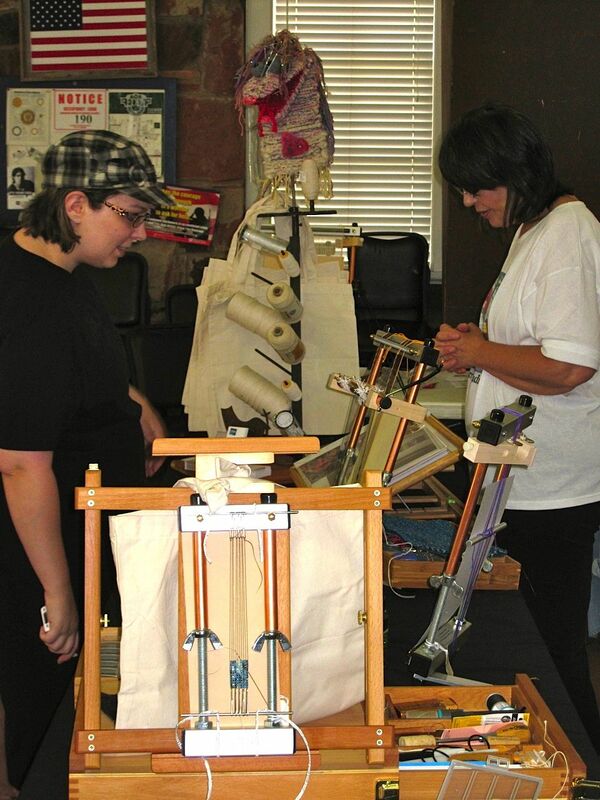 We had a great time connecting with new weavers and visiting with old friends. Lynn was able to get her Little Guy loom warped with a tapestry bead cuff and the only weaving I did was some quick demonstrations for those coming by. 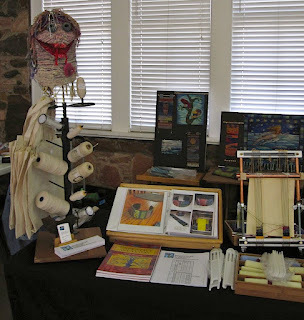 Lizzy greeted everyone and presided over the warp threads and Mirrix heddles. 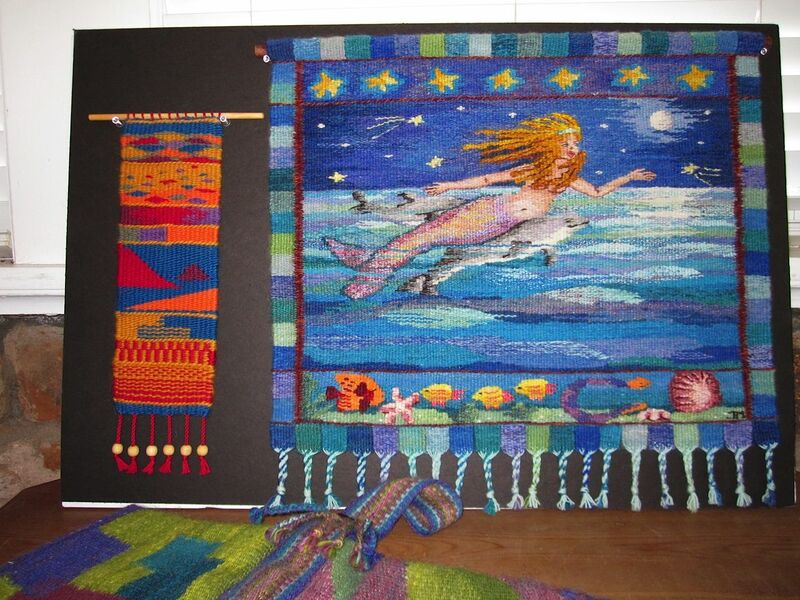 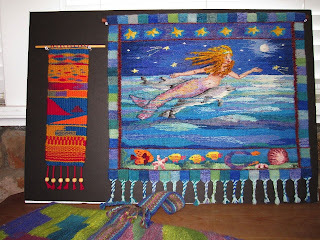 I took along some tapestries to display, here is Oberon's mermaid and the sampler from Kirsten Glasbrook's book on tapestry weaving.